For years the United States of America has required that many people wishing to travel to the U.S. to study, visit or conduct business first obtain a visa. Recently, the U.S., like many other countries, has updated visa policies to increase security for citizens and visitors. Yet, much remains unchanged. Today, as in the past,most travelers to the U.S.must obtain a visa.The process still includes application forms and interviews as well as the collection and cross-checking of names in a highly sophisticated inter-agency database. As a visa applicant today, it is important that you recognize that these name-checking and registration processes are necessary and crucial elements that protect our citizens and our visitors, so please allow for extra time in your planning. Because of this process, many visas take at least several weeks, but some can take longer.While individual experience may differ, here are the basic steps you should follow and what you can expect throughout the process. If you have access to the Internet, visit http://travel.state.gov/visa/visa_1750.html. This Web site has been created to help you find the information about current visa policy and procedures quickly and easily, based on your own situation and circumstance. Whether you are a student, a sponsor, a tourist, or a business traveler, this Web site can serve as a useful first stop on your journey. There are many different types of visas, and this site can help you determine which kind you need and how to obtain it. If you do not have access to the Internet, contact the nearest U.S. Embassy or Consulate for further information. 2 – Make an appointment. Make an appointment to visit the U.S.Embassy or Consulate.Visa application procedures vary somewhat among Embassies and Consulates, depending on local needs. In most countries, you will need to make an appointment. This can be done by telephone, mail, over the Internet, or in person, depending on circumstances in your country.Wait times for appointments may be longer than in the past. Schedule your appointment as soon as you know you need to travel to the U.S.
Be sure to ask what fees are required and how they can be paid. Application fees are non-refundable and must be paid before your appointment. 3 – Get all your documentation ready. Appropriate applications. These can be obtained through an Embassy or Consulate or at http://travel.state.gov/visa/visa_1750.html. Documents to support the application detailing employment, reason for travel and financial status. Remember, as in the past, the consular officer may require additional information or application forms. If you are a student applying for a visa to study in the U.S., talk to the U.S. academic institution or exchange program sponsoring you to obtain all the forms you will need to present with your application. 4 – Submit your application, passport, and supporting documents. Submit your application, passport, and supporting documents to the U.S.Embassy or Consulate. Your application will then be reviewed by the consular officer and, in many cases,by officials in Washington, D.C. For most applicants, the visa is issued within a few weeks. There is no guarantee of obtaining a visa. 5 – In some cases, additional reviews will be required. In some cases, additional reviews will be required. Your information is submitted and checked in the world’s foremost security database, which includes comprehensive information drawn from both U.S. and foreign law enforcement agencies worldwide. If your name or a close variation indicates security concerns, the process will be delayed. Additional steps will vary from requests for additional interviews and information to official registration and fingerprinting. This may add at least 4–6 weeks to the processing time. Registration upon arrival in the United States is mandatory in many cases but registration can be required in any case regardless of country of origin. See http://travel.state.gov/visa/visa_1750.html for the most current information about who is affected by this requirement. A visa allows you to travel from your country to a port of entry in the U.S. In many cases, that port of entry will be the airport where you land. On the airplane you will be asked to complete a short arrival/departure form. When you deplane, follow directions for non-citizen entry. At the airport, a U.S.official will interview you and verify all of your paperwork. Once admitted,you will receive an immigration stamp and proceed to baggage claim and U.S. Customs. You may be informed by the consular office before leaving your country if you will be subject to special clearance procedures. Some travelers may be directed to private workstations in the arrivals hall, where special registration, photos and electronic (ink-less) fingerprints will be taken. Additional interviews and verification processes will also be conducted. We want to ensure that the visa application process is straightforward for people who want to come to the U.S. to study, visit, and conduct business. It is true that some things have changed. Recent events have required the U.S. to modify and intensify some of its visa policies to ensure safety and security. As a nation, the U.S. is working harder than ever to identify and deny entry to those who mean harm to our country. Many things have not changed. The United States of America is still a nation where diversity is celebrated and people from all over the world are welcome. Today, we—like most other countries — are working to keep our borders secure while we maintain the freedom to exchange ideas, enrich lives and keep businesses thriving. We hope you enjoy your visit to the U.S.We look forward to having you here. It is important to remember that visa processing and operations can vary depending on local circumstances. Some consulates require that personal interviews and appointments be scheduled in advance, and some interview applicants on a walk-in basis at specific, posted times. The time it takes to process your visa also can vary significantly depending on type of visa and circumstances in the country or region. Therefore it is important that you contact the closest U.S. Embassy or Consulate as soon as you know you need to travel to the U.S.
Policies and regulations worldwide will continue to change as new security measures are put into place. Visit http://travel.state.gov on a regular basis for updates and changes that could affect your travel plans. 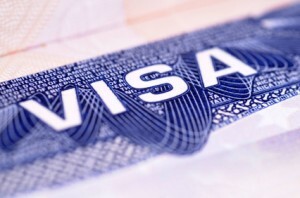 For a list of Web sites of U.S. embassies and consulates worldwide, and for comprehensive information about U.S. visa policies and procedures, please visit http://travel.state.gov/visa/visa_1750.html. This entry was posted in Nursing News and tagged get a us visa, how to get a us visa, obtain a us visa, student us visa, US visa to work. Bookmark the permalink.